Our innovative and dynamic corporate culture has produced different parking systems over the years. Each of these products can solve a variety of parking problems. Get an overview of our product range here, so that parking space bottlenecks will soon be a thing of the past! Our automatic parking systems automatically park your car using horizontal and vertical conveyor technology. For our parking systems, we rely on shelving systems whose structure is reminiscent of a high-bay warehouse. 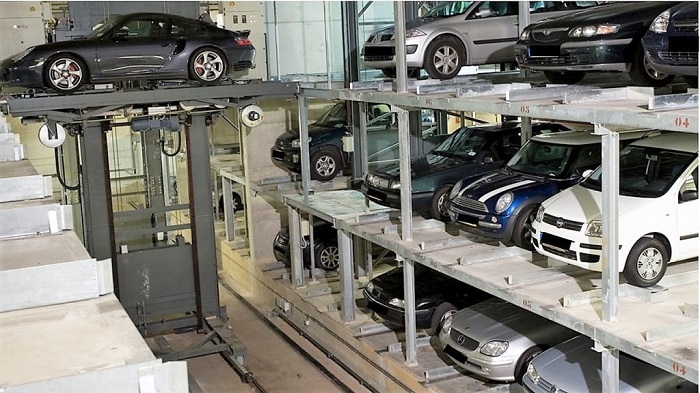 Thanks to our shelving system, every car finds its perfect parking space. 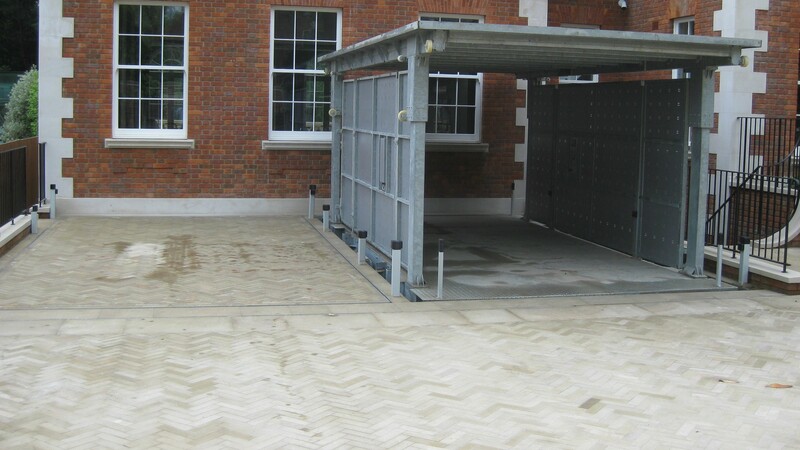 The car park systems can save a lot of construction volume which can be used elsewhere. 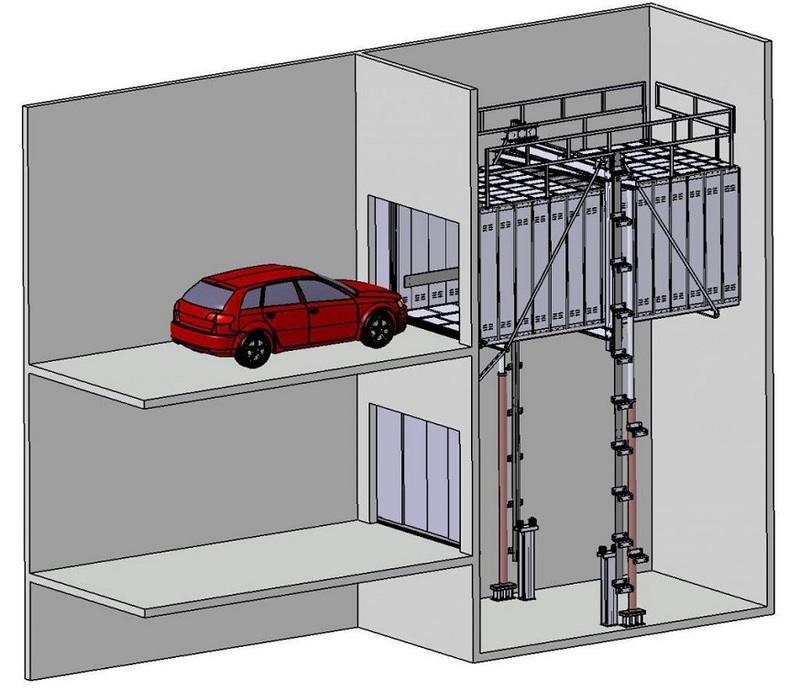 With our car elevators you can solve several problems at the same time: you can transport cars comfortably to different levels without any access ramps. The cars can be transported with or without a driver. 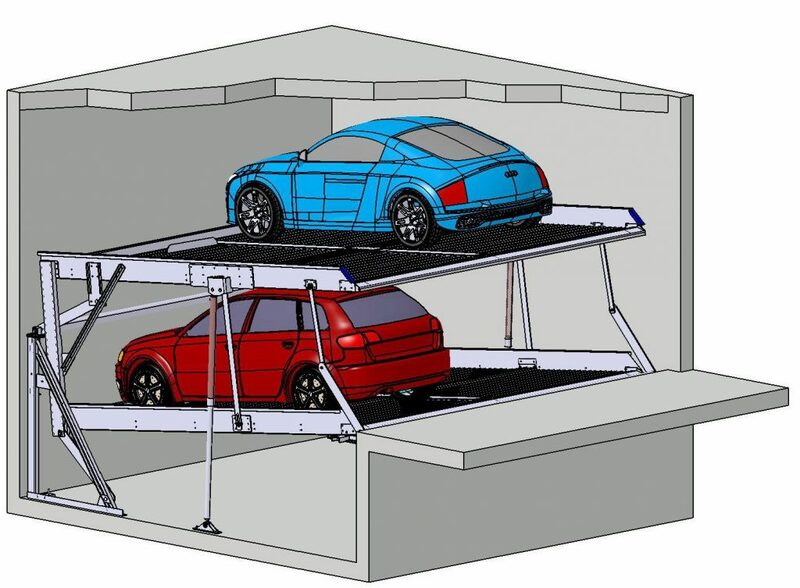 Some of our car lifts are also suitable as additional parking spaces: the car can easily be lowered into the ground by the car lift. The unique roof construction of our car lifts then creates another parking space! A double parker is the perfect solution in case of parking shortage. Our flexible, mechanical parking systems have several parking levels. They are therefore well suited for underground garages as well as single-family and multi-family houses. Depending on the model, there is space for two to six cars in the double parking garage. With a parking space load of 2000kg to 2600kg almost every car can be parked comfortably on it. When space is at a premium, our Swiss Park turntables are the perfect parking aids. If there are no or hardly any turning possibilities in your garage, you can solve this problem easily and conveniently with one of our turntables. 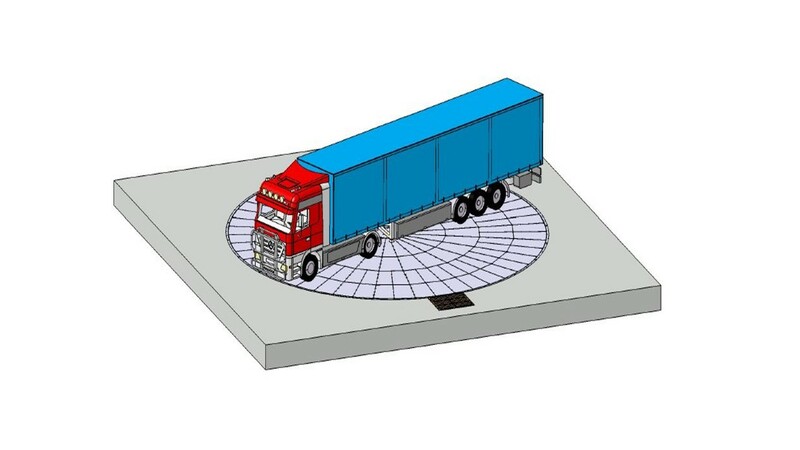 Our product portfolio includes both car turntables and truck turntables. Our automatic parking systems of the MAX series can accommodate up to three vehicles on top of each other. A total of 5 to 29 cars can be parked here. 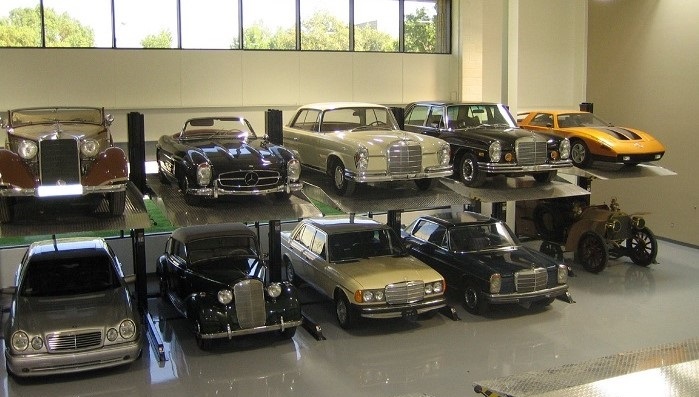 Our car lifts have been specially developed for the transport of cars. This makes it easy and uncomplicated to transport cars between the different levels of a building. A double parker is the perfect solution for compacting parking spaces with low ceiling height or pit depth. 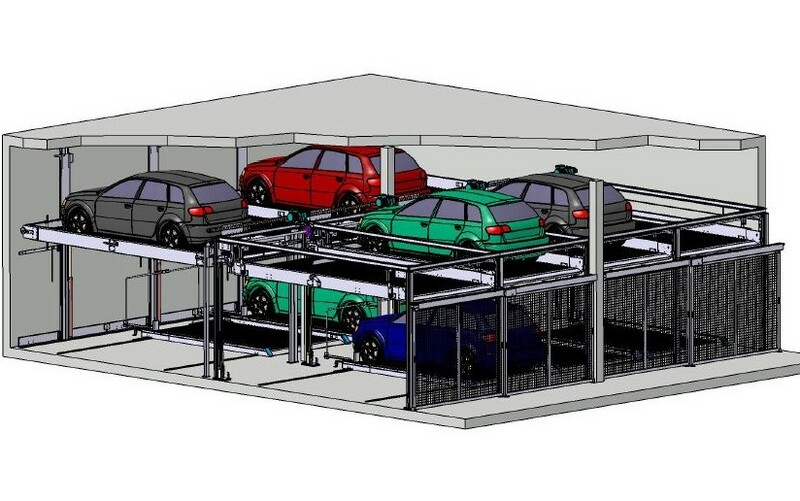 Depending on the model, there is space for 2 to 6 cars on the mechanical parking system. If space is limited, our Swiss-Park turntables are the perfect parking aids. Missing turning possibilities are easily and conveniently replaced by our turntables.